While I still have a few blogs to catch up on, I wanted to take a break and wrestle through a concept I dealt with on the way home from an incredible week of connections. In the past week, I have been able to spend time with a group of amazing Lilly fellows (those who got the same grant that prompted me to begin this blog). This time, I got to be a part of a group of writers. Through a few short days of sharing our stories, I made incredible new friends that I hope to maintain connections with for a long time. 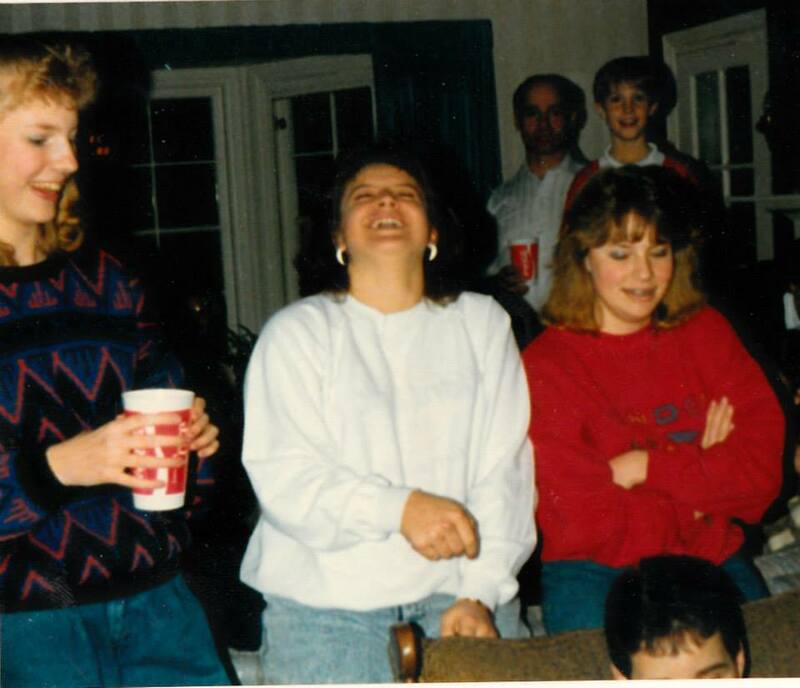 At the end of the same week, I attended a youth group reunion where I was able to re-connect with some amazing people who were a vital part of my journey–some of whom I haven’t seen in at least 20 years. With both of these experiences in the same week, I was driving home just thinking about the connections we make in life. One of the things that bothered me about the reunion was the pictures of myself where I couldn’t remember what we were doing in the picture. And it bugged me–relentlessly. I have wanted to freeze frame so many moments in my life–to hold on to those connections so they will never be lost. And yet here were moments of deep significance in my journey, and they were gone. As I continued thinking, I started wrestling with why I have this urge to remember–or more importantly, why it bugged me so much to forget. 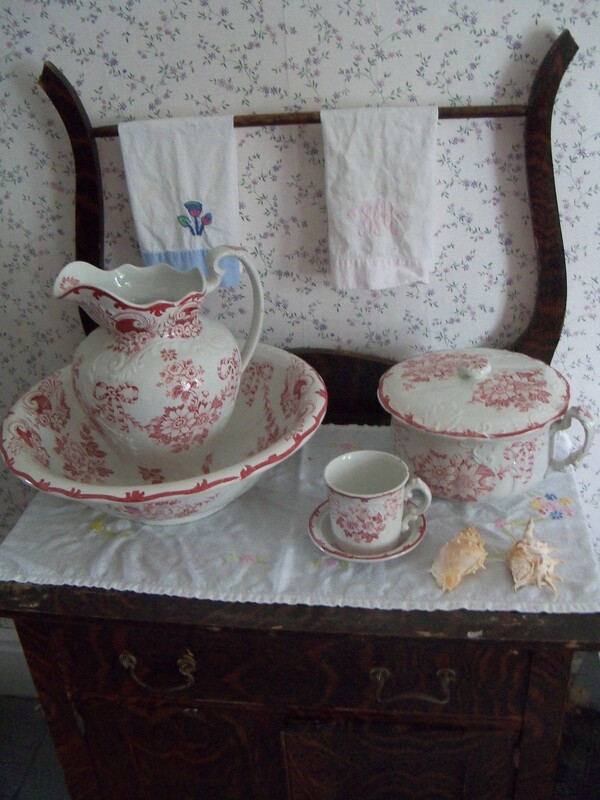 I teach history, I have kept a journal for 25 years, and I blog, I love antiques, I care about people’s stories. Why? Because I don’t want to forget. As I delved further, I came to another connection–It’s not just that I don’t want to forget. It’s that I don’t want to be forgotten. By remembering others, there comes the hope that someone will be remembering us. None of us wants to be forgotten. As I traverse graves and look at antique stores, I don’t see what’s there–I see the people behind them. I know they have a story. They loved and lost. They had hard times–some they overcame and some overcame them. But, the bottom line is they lived. And because they lived, they should be remembered. And yet, these grave stones, bits of linens, jewelry and hats, are forgotten pieces of their stories, things that no longer meant anything, so they were cast aside. I think that’s why I hold on to so many things–a note, a picture, a piece of furniture–they help me remember. And I WANT to remember. Why do I feel that way? I think a friend at lunch today explained that better than I could. “I want my life to count. I don’t want to just be ordinary. I want to make my mark. I want to leave a legacy.” I smiled–In short, she wants to be remembered. She longs that something she does in that dash between birth and death will “count”–that it will be worth remembering. I think we all want that. I’m reminded of the line in Dead Poet’s Society–“The powerful play goes on, and you may contribute a verse. What will that verse be?” This world we were born in was already in motion, and unless Jesus returns, will continue after we’re gone. All we have is life in the dash–in that space between the bookends of birth and death. I think that’s why I love history. George Washington didn’t know he would be George Washington–he didn’t know what he’d mean to history. Yet, through his consistent life, he changed history forever. None of us knows how history will view us, or if we’ll be one of those unnamed masses in the “unknown” category. But, if we will love well, fight for truth and right, and stand for those who cannot, we will have a legacy–whether for one or for millions. Days before I even visited Westfield, I was already impressed by their site. Due to a scheduling conflict, we were not able to go during normal business hours, and had Emailed them accordingly. Rondalyn immediately Emailed me back offering us the chance to poke around, despite the fact that they already had school groups and a film crew there. Beyond just allowing us to come during a non-scheduled day, she even went so far as to leave at the office a guide to which buildings were used in the Anne of Green Gables movie. We started our sight-seeing tour with the D’Aubigney Inn which served as the interior to the Hammond House. While the buildings were closed up since it wasn’t a regular day, I took a picture through the window so you could see where the Hammonds sat discussion Anne’s fate. If I remember correctly, Anne comes down these stairs. From there, we wandered around to the train station where Matthew picks up Anne when she first arrives at Avonlea. 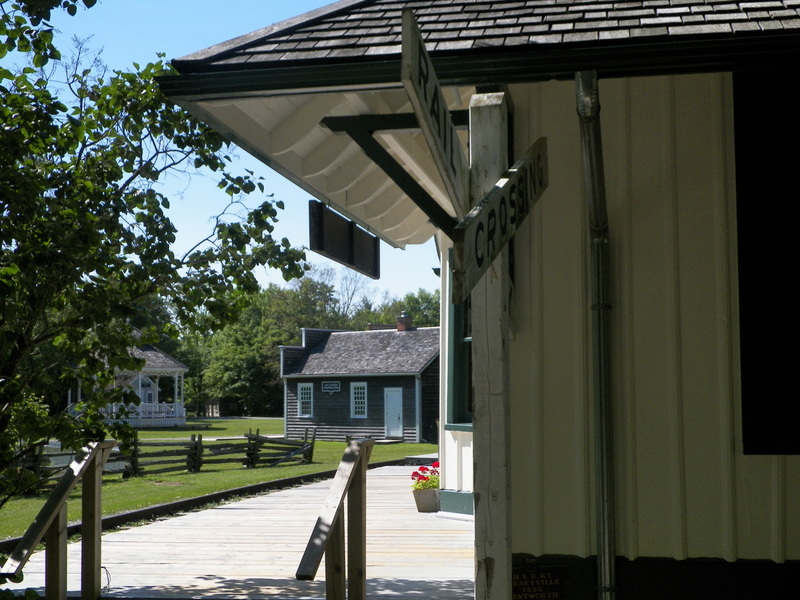 It is also the train station used in The Road to Avonlea where Sarah Stanley, Nanny Louisa, and Andrew King arrived. As a historical note, the station was first built in Jerseyville and was the first building moved to Westfield, which was established by a pair of teachers who purchased the land as a place to make history come alive. What a legacy they have left! After the station, we wandered down one of the main roads, which sported the General Store, which served as Lawsons in Anne of Green Gables, The Dry Goods Store, which boasts the window Anne looked out of when in the orphanage, and the road Gilbert drives down while picking Anne up from the General Store. We ended our trek down at the Church, which itself served as the Avonlea Town Hall in “Strictly Melodrama” (The Road to Avonlea). Beside the church is a small cemetery which served in the scene where Matthew was buried and again in the scene where Felicity and Felix eat the magic seed in Road to Avonlea. While we were only at Westfield for about an hour this trip, I am looking forward to visiting when it is up and running. I believe it will be well worth the price of admission. 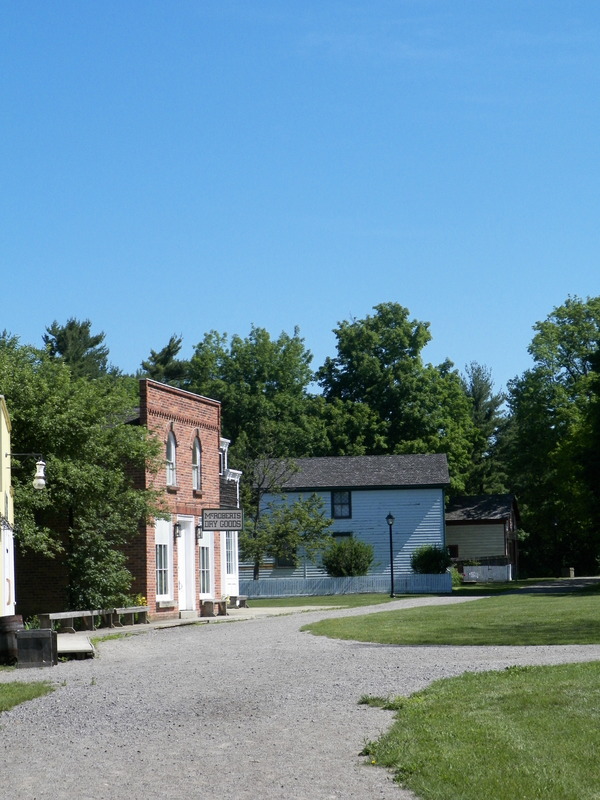 For more information on this amazing site, check out http://www.conservationhamilton.ca/welcome-to-westfield-heritage-village. Today (6/14/12), we set off for “The White Sands” of the first movie. 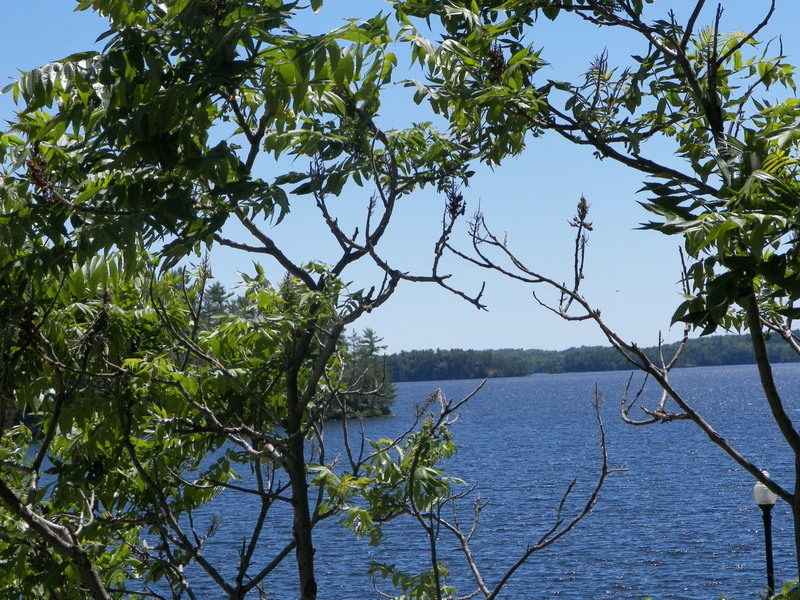 We made the hour trek up to Muskoka again to see the Windermere House and cottage listed on the Tripod site. When we got there, we went to the front desk to check what they used for the set. The desk workers knew nothing of the sort, and informed us that the only movie they were aware that had filmed there was The Long Kiss Goodnight in 1996. Apparently, the film had caught the hotel on fire and it had burned to the ground. Needless to say, they haven’t allowed movies to be made there since. When we said that the Anne series was done in 1985, they got the book on the history of the hotel to check. In the meantime, one desk worker pulled up the Tripod site, while another googled Anne filming locations. 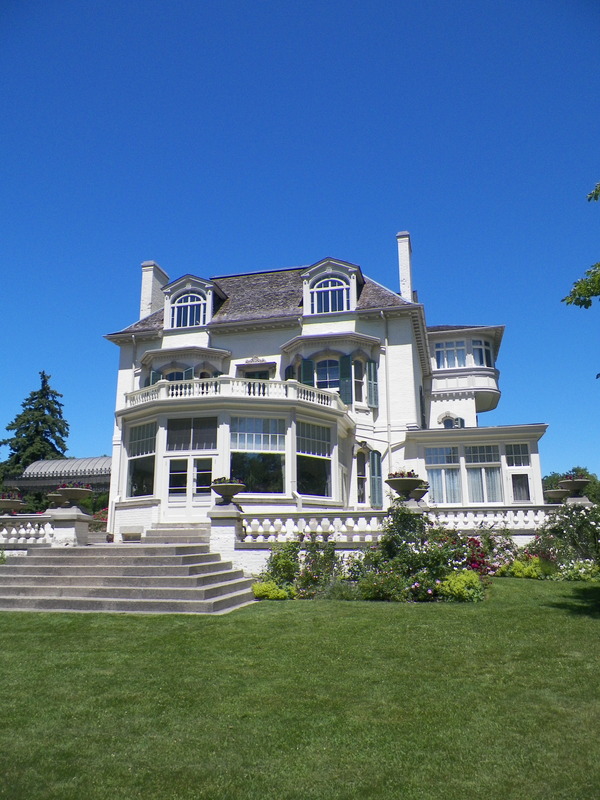 While the Tripod site listed Windermere House on Lake Rosseau, IMDB for Anne filming Locations listed Windermere House in Windermere, British Columbia, Canada. We couldn’t imagine Sullivan traveling to the complete other end of Canada for one scene, but also didn’t think the site here resembled the White Sands. 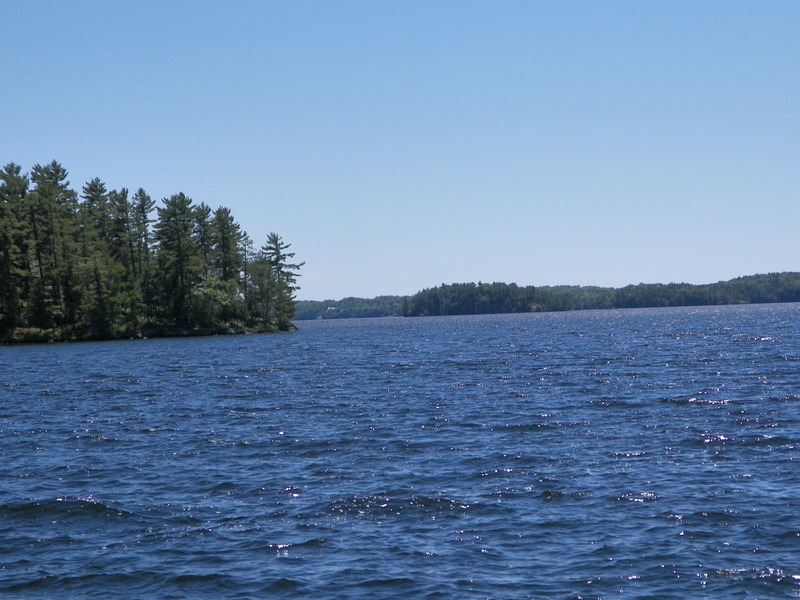 So, for those who stop by this site, I am posting pictures of the Windermere House in Muskoka on Lake Rosseau (Listed as Bracebridge on the Tripod site). Is it the White Sands or not–you decide. I will say, whether or not it has a connection with Anne, The Windermere House offers great beauty for all who visit. We started our adventures with the Spadina Museum (285 Spadina Road) which served as Aunt Josephine’s house (inside and out). 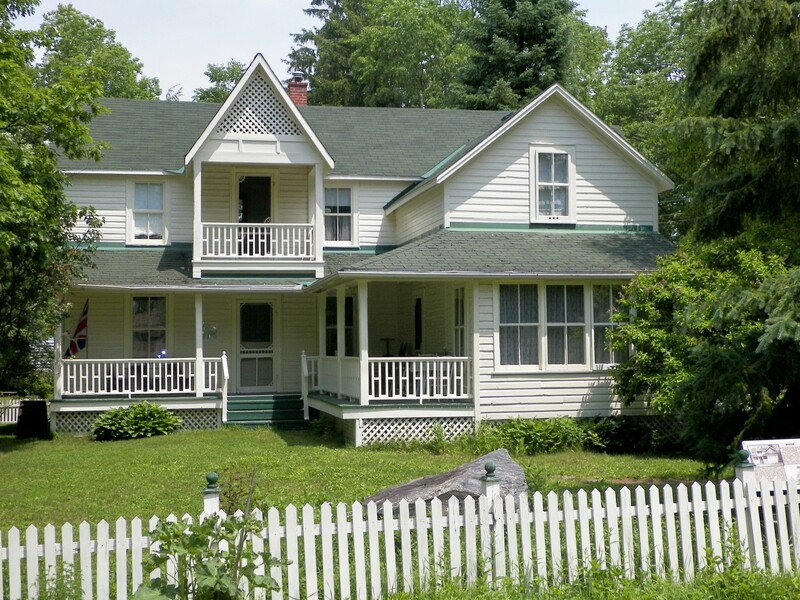 It also served as Captain Ames’ house and the Sanitarium in the Road to Avonlea series. Due to time constraints, we decided to skip the inside, but the house and gardens are truly beautiful. From the proprietress of this museum, we learned the address of Sullivan Entertainment, so we added that location to our plans as well. 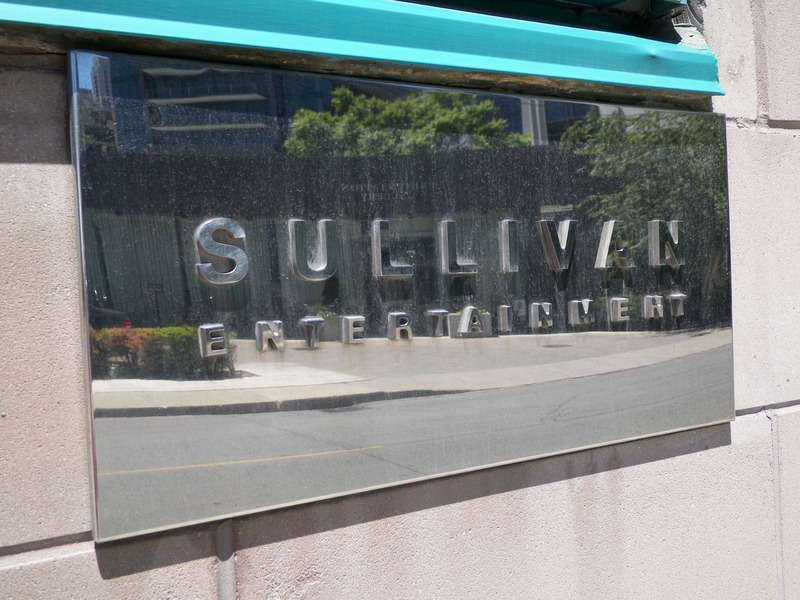 After that, we decided to swing through Sullivan Entertainment (110 Davenport Road) and see what we could see. We had little hope of a reception of any kind, but decided to go for it anyway. The Sullivan Entertainment building is secreted away, and we continued our experience of driving past a site and U-turning (as well as parking semi-illegally). We made it to the second floor, and the receptionist contacted someone else to come give us information about Sullivan’s projects. 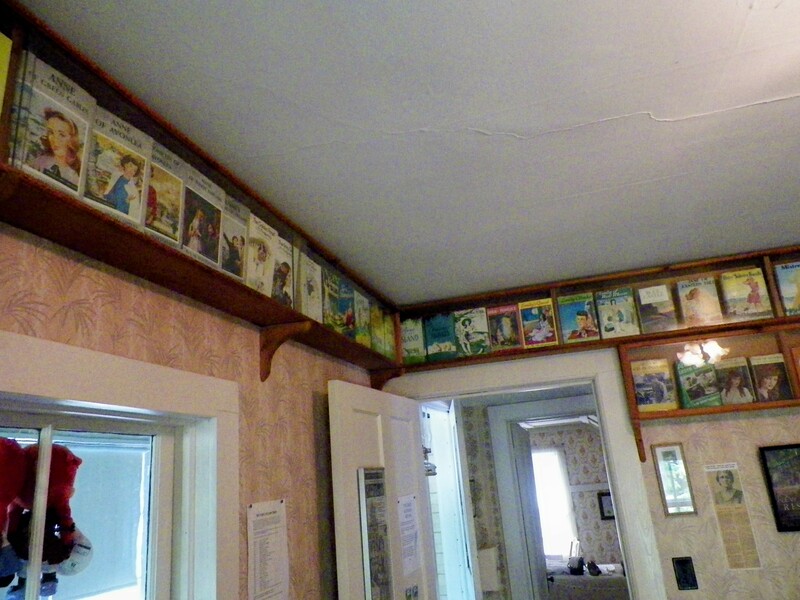 He informed us that they couldn’t let us see the studios as they were currently being rented to someone else, but gave us a map of the Avonlea Village layout, as well as two books of pictures from The Road to Avonlea series. From there, we set off to Victoria College (110 Charles Street West) which serves as the Queens College in Anne of Green Gables. 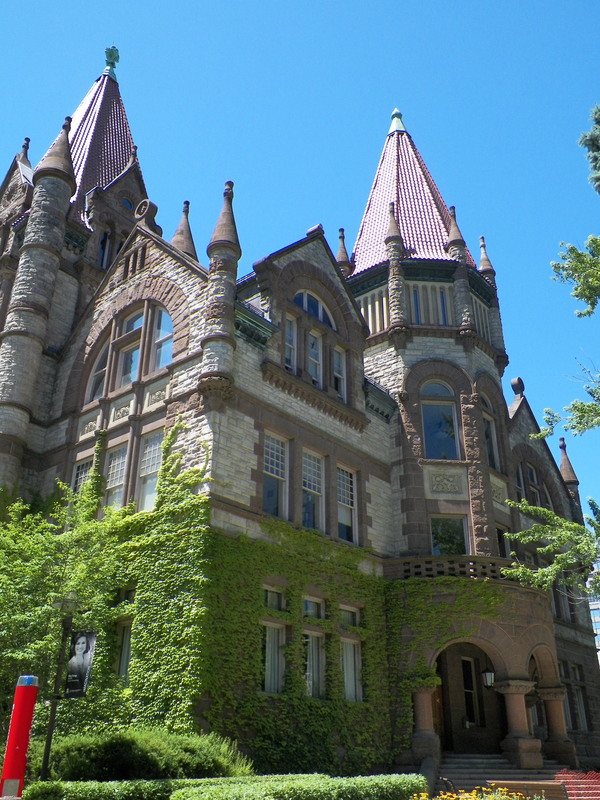 Victoria College is just one of the buildings on the campus of the University of Toronto. It was currently under construction, but I was able to get as few pictures anyway. 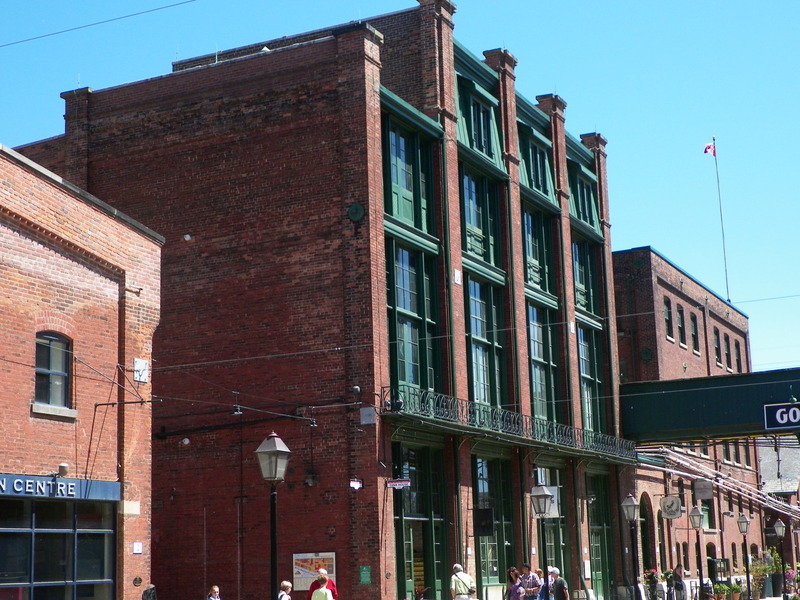 When we left, we went to the Distillery District (Mill and Cherry). It was a huge pain to get to due to construction around the District, but it had been recommended to us by Mandy, and we decided to check it out. It is the spot where “When she was bad, she was horrid” was filmed. The District was a neat place with a number of historic buildings. Once again, we were illegally parked, though, so we just took a few pictures and headed off. 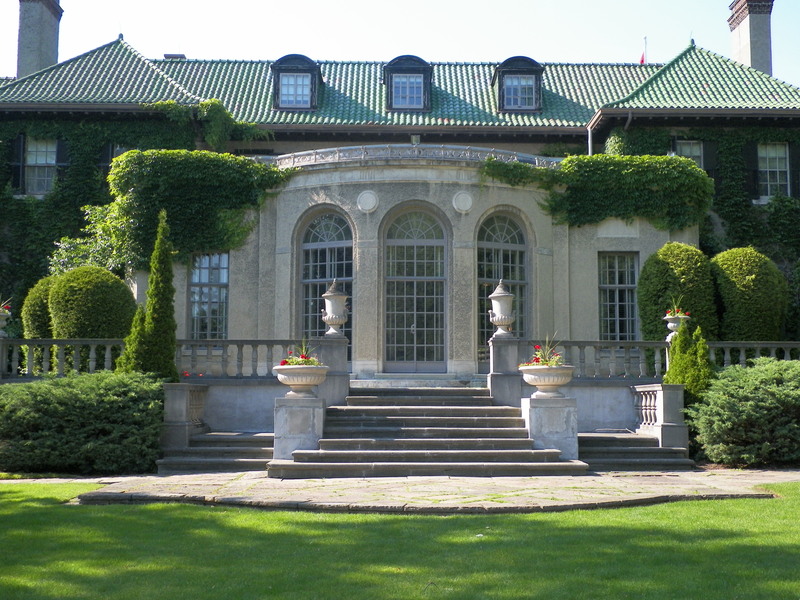 After that, we headed up to Edward’s Gardens (777 Lawrence Avenue East)–and drove past it again–but it was a beautiful site, which offered an unexpected surprise: They were filming an episode of “Covert Affairs” there. So, in addition to seeing the bridge where Anne and Gilbert meet when she’s teaching at Kingsport, we also got to see a scene of a TV show being shot. Fun times. 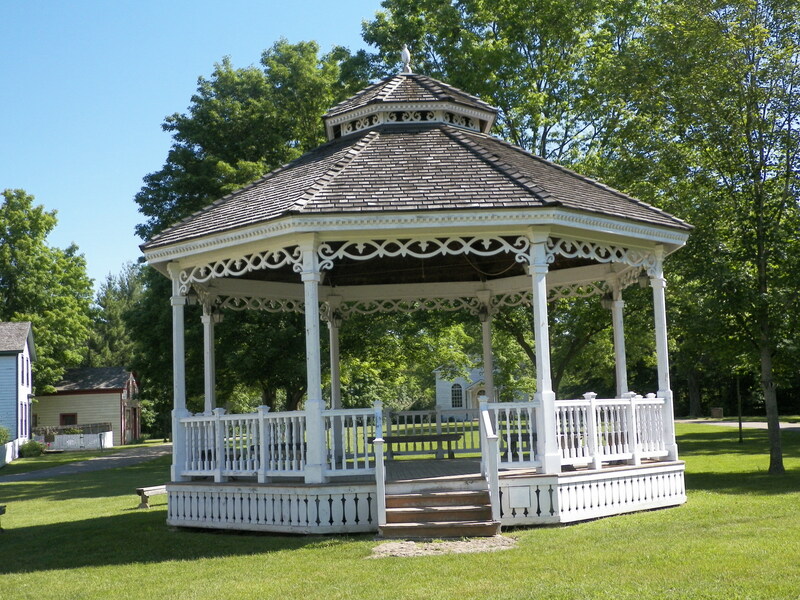 An article I read said the gazebo they ran to is in the Gardens as well, but the ones we saw didn’t look like the one in the movie. We were finally able to head out of the city and to Cedar Grove (Just past the intersection of Steeles and Reesor). 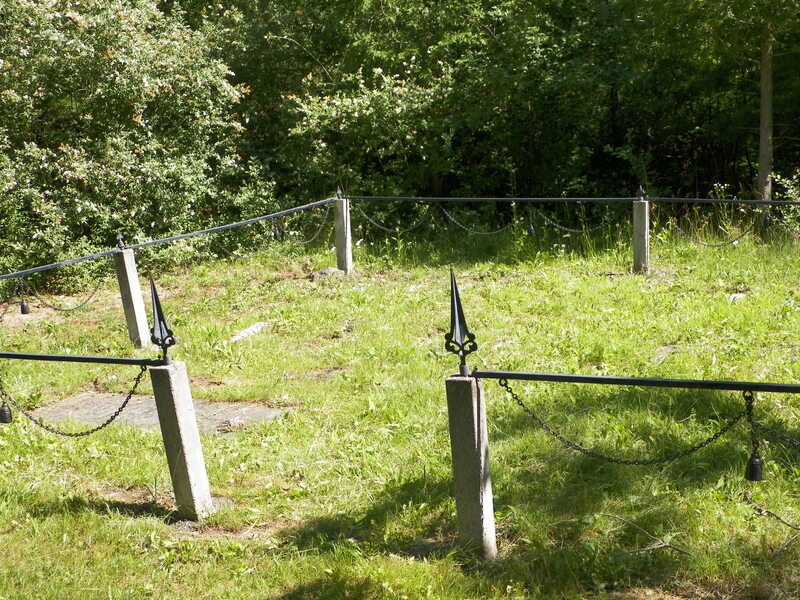 This is the site of the house used as Green Gables. This too is private property with no pull off. The owners have allowed trees to grow between the house and the road, probably to obstruct the view. The orchard and field next to the property were also used in the production. We weren’t able to really enjoy the property. 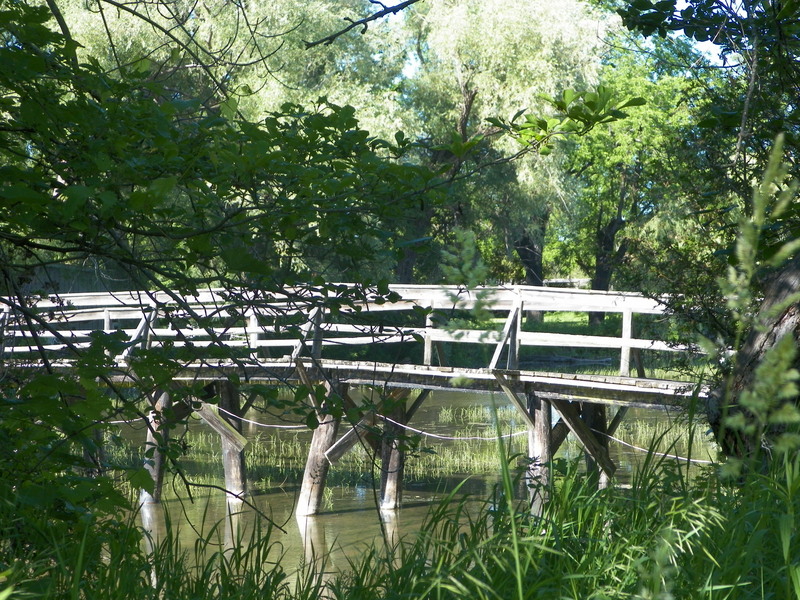 Finally, we went to Stouffville, to see the bridge used in the movie where Anne plays the Lily Maid, and later where she and Gilbert kiss. We had been told it was at Century Mills, but couldn’t find it previously. Jack Hutton told us it was at the Baptist church in town. In reality, it’s between the two (3885 Stouffville Road). We pulled into the Baptist church, ran into a kind man who helped direct us to the bridge, and set off. While horribly crooked, the bridge offered a lovely glimpse back in time. It was a lovely conclusion to our sight-seeing day. Note: Photographs of L.M. Montgomery’s photos, journals, and scrapbooks are displayed courtesy of the L.M. Montgomery Collection, Archival Collection, University of Guelph. Today (6/12/12), we got an early start and headed to the University of Guelph Library. After about a two hour drive, we arrived on the campus, paid the $10 flat rate parking ($2.00/hour or $10.00 for a day), and found our way to the McLaughlin Library. The collection offers ten L.M. 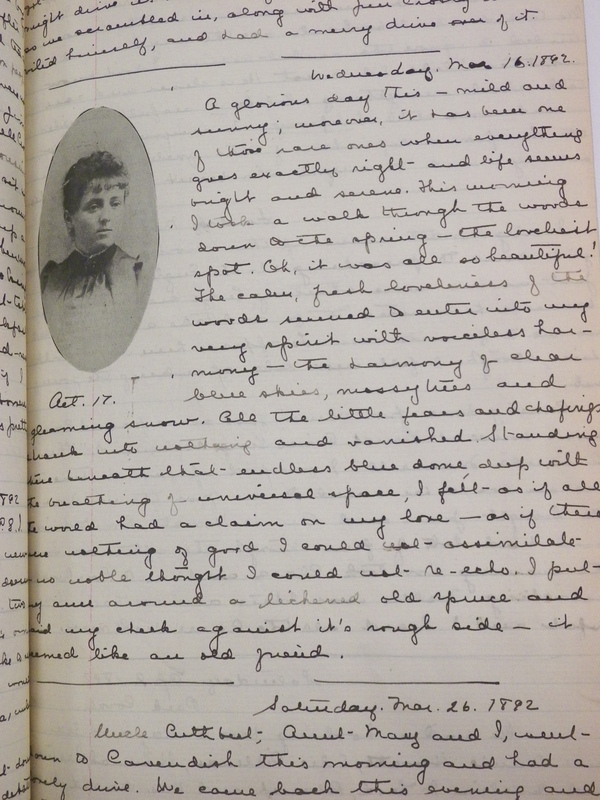 Montgomery’s journals, four scrapbooks, newspaper reviews, short stories, the manuscript of RIlla of Ingleside, 1,273 of Montgomery’s own photographs, and several other artifacts. I began my research with Montgomery’s own photographs. Having seen a number of reproductions in Prince Edward Island, it was a rare treasure to be able to see so many of her own pictures. What a person chooses to capture on film says something about his or her priorities. To look through the friends and family, places and landscapes that had shaped Montgomery’s life and stories gave a bit of a window into her soul. It showed the high points–Ewan playing with the boys instead of dealing with the depression that made him withdraw in later life. It showed places that no longer exist, like her grandparent’s home. And, it showed her in happy moments: as a small child, sunbathing on the beach, and in her wedding clothes. It was truly a slice of her life. Next, I looked through Volume One of her journals. While her writing is difficult to decipher, selections of her journals have been included in The Selected Journals of L.M. Montgomery edited by Mary Rubio and Elizabeth Waterson. The neat thing about seeing the journals is that they are in Montgomery’s own writing, complete with photographs illustrating the work. 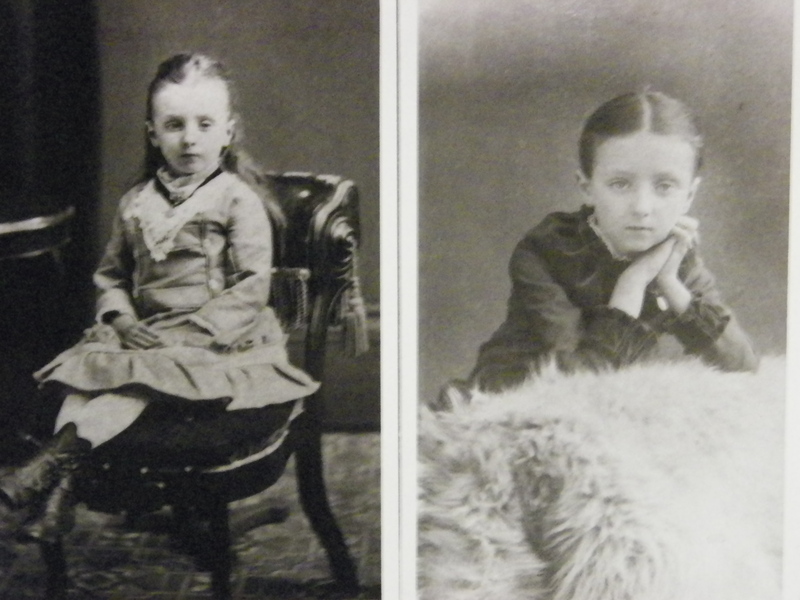 While they do not put them within the pages like Montgomery does, many of these photographs appear in The Selected Journals. 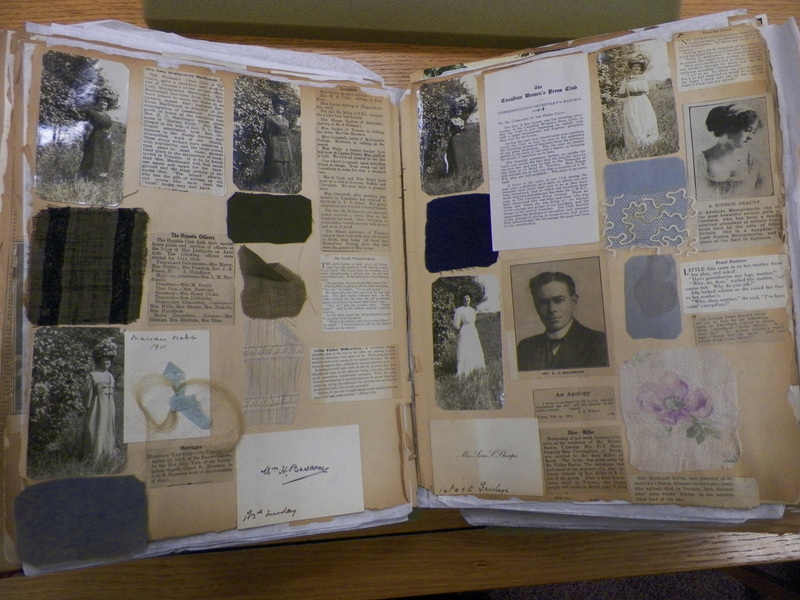 As our time was running out (The library closes at 4:30), we asked to see one of Montgomery’s scrapbooks. I was surprised that they let us handle them when they are so fragile and falling apart, but it was an incredible experience. Unlike the journals which only contained pictures, the scrapbooks include newspaper clippings, swatches of material, pressed flowers (including Montgomery’s own wedding bouquet), cards, and letters. Again, they were just another window into her world, which I am excited to have experienced. If we have time to go back, I still want to see the Manuscript to Rilla of Ingleside, Gog and Magog, Montgomery’s needlework, and a few other things. All in all, it was an exciting day, despite the fact that I dislike being cooped inside at one task for so long. 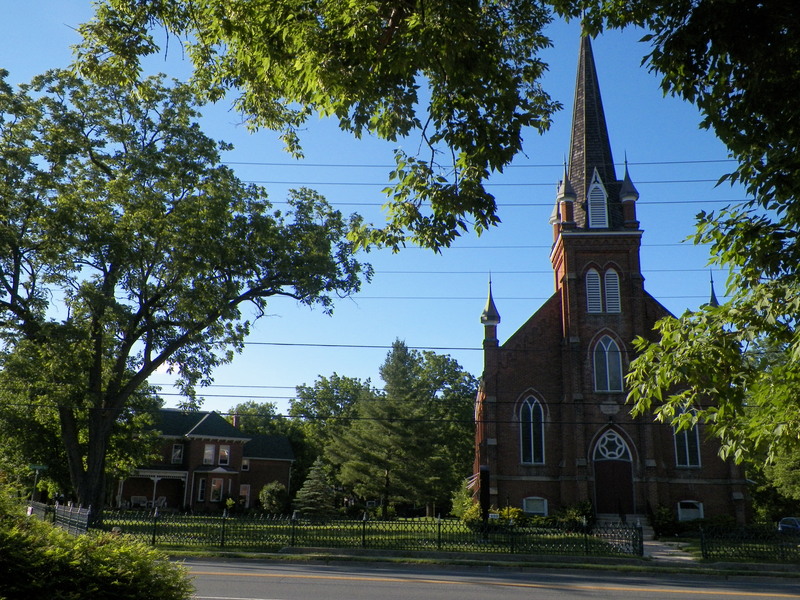 On our way home, we swung through Norval, which was another place Ewan ministered in his later years. Apparently, this was a difficult time in Ewan’s life and strained his relationship with the people of Norval. 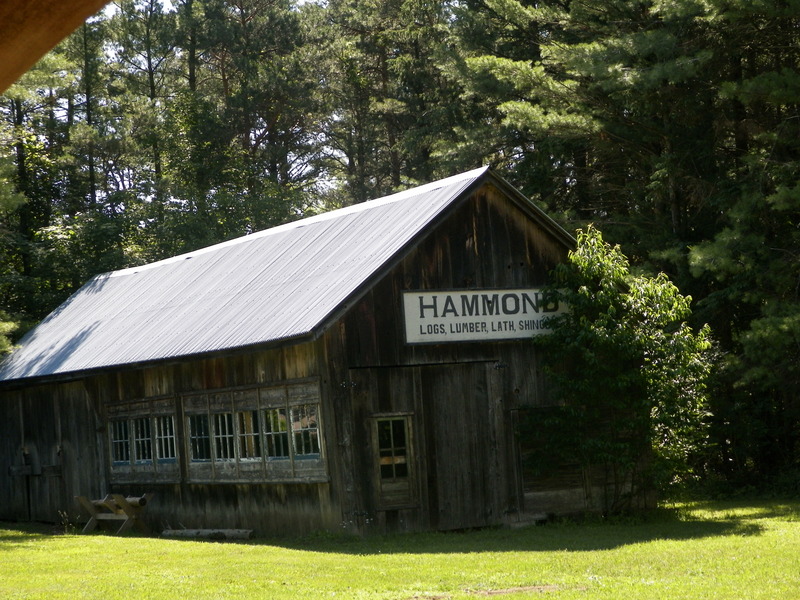 In Norval, Crawford’s Village Bakery houses the L.M. Montgomery Museum, which also has pictures, early book editions, and memorabilia. Norval also offers the manse the Montgomery’s lived in (private property behind the church), the church where Ewan ministered, and a garden dedicated to L.M. Montgomery’s Norval years. It was only a short visit, but still neat to see. Yesterday, the bee keeper at Pickering Museum Village told us we had to visit the Bala Museum, so today we set off to check it out. 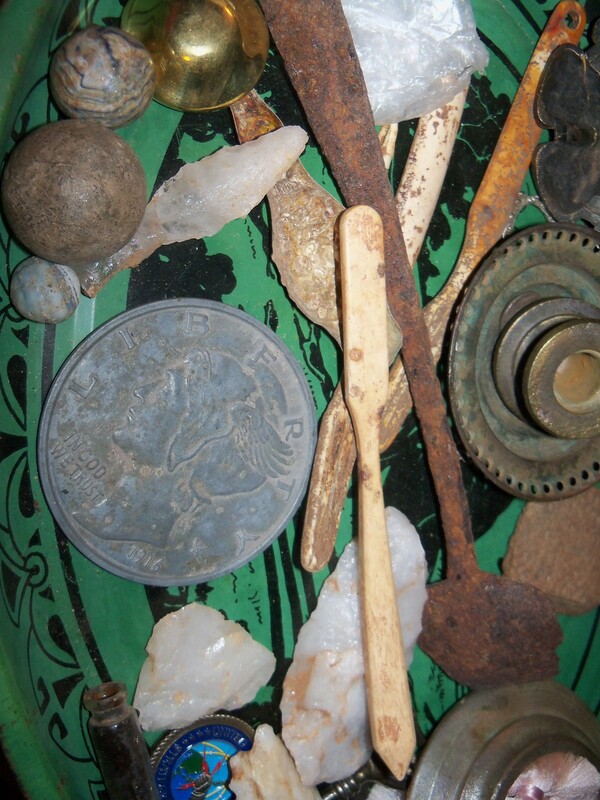 What we found was not only a treasure trove of L.M. Montgomery information, but an amazing treasure in its proprietors as well. First, one needs a bit of background on why the Museum at Bala is significant. Montgomery and her husband used to vacation in PEI until the summer of 1922 when Ewan was in the middle of a lawsuit over a driving accident. Because of the legal hassles, they were discouraged from leaving the area. The situation was eventually resolved, but not before it was too late for a trip to PEI. So, the couple made the 80 kilometer trek from Leaskdale to Bala. They didn’t actually stay at the Bala Museum, then called Treelawn Lodge, but the Roselawn Lodge across the street. 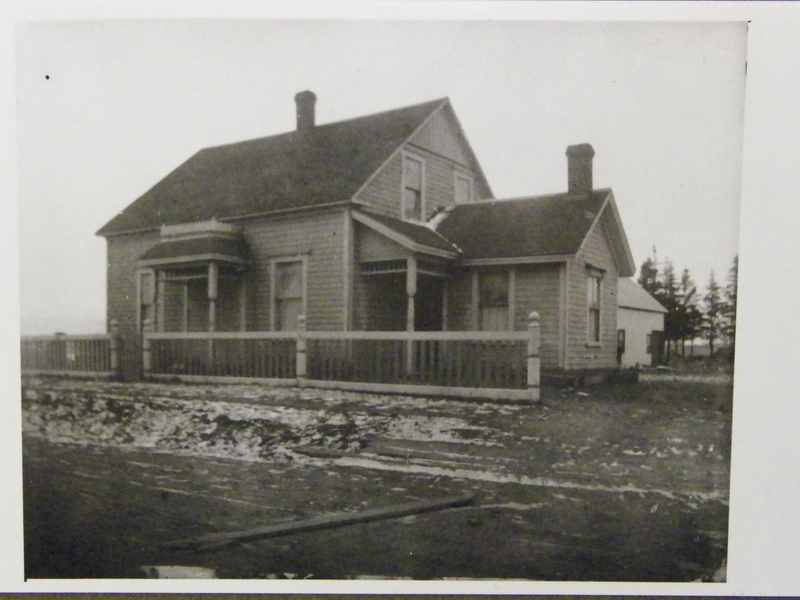 The Roselawn Lodge, however, didn’t serve meals, so they took their meals at Treelawn. 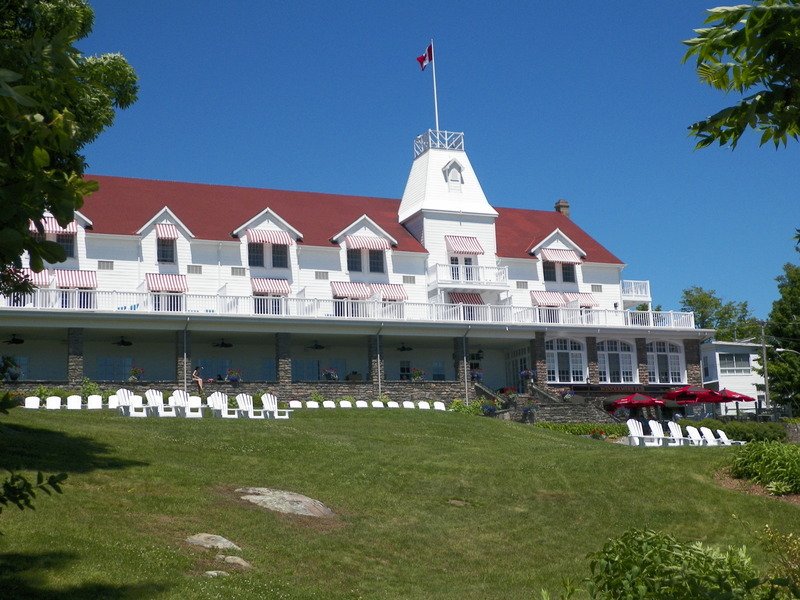 It was actually the summer she spent at Bala which inspired Montgomery’s The Blue Castle, the only Montgomery novel set outside of PEI. The way the Huttons got the house is nothing short of a miracle of Providential timing. They had just gotten married and decided to take a trip to PEI because of Linda’s love of Lucy Maud Montgomery. 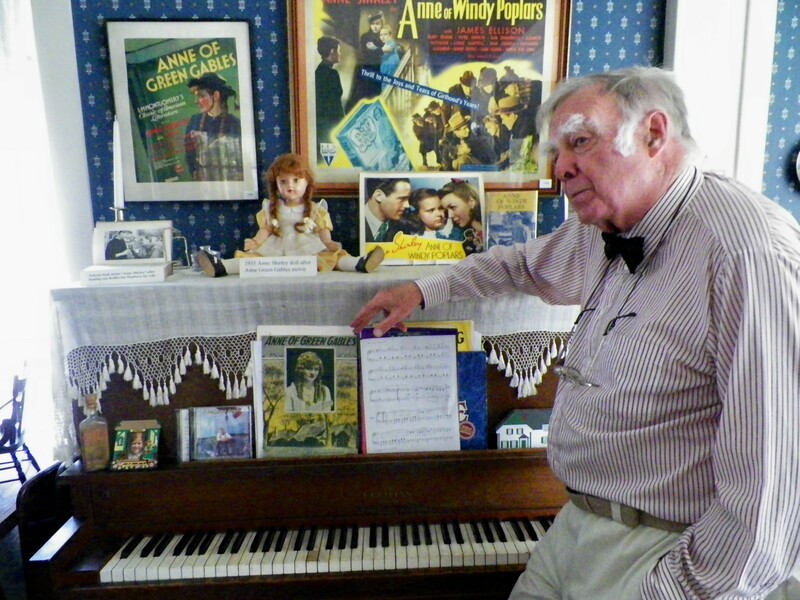 Jack, a writer himself, went along with the idea because of his love for Linda, but remarked that he had, at the time, never read Anne because it was considered “sissy” by young boys in school. When his new wife read it to him on their honeymoon, however, he was hooked. He then purchased The Alpine Path, a collection of Montgomery’s poetry and fell in love with her work. When Jack and Linda returned, they were out taking a walk and saw the house for sale. They were fascinated by it, since it reminded them of the style they had seen in PEI. They toured it as a possible museum site, but dismissed it due to the long list of repairs needed. Then, the librarian showed them the letter from Mary Rubio. 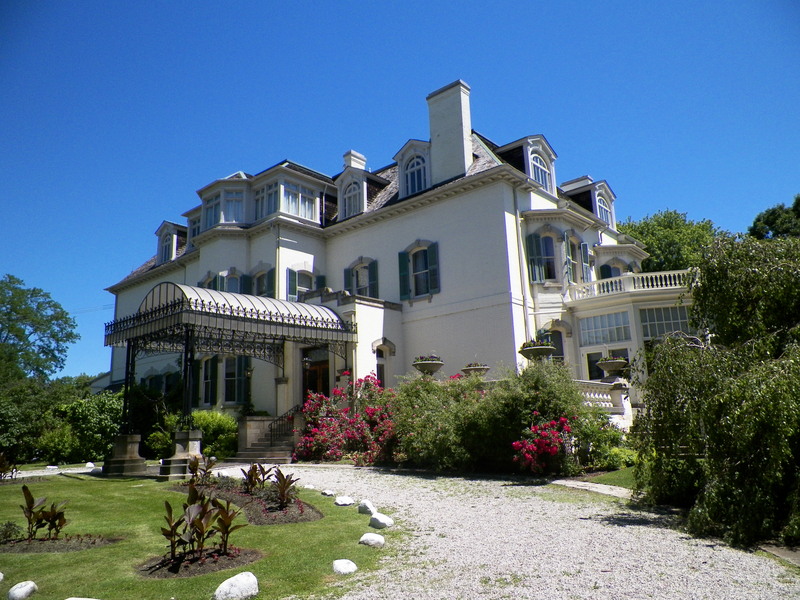 From a phone call to the owner of Roselawn, they were able to discover that Montgomery had stayed at Roselawn, but taken her meals at the very house they had toured. It had been owned by “Crazy Fanny,” who was described by Montgomery as “a lady cumbered by much serving.” When Linda discovered that the house where Montgomery had taken her meals was still around, and that, with the loss of the original lodge at Roselawn in the 1940’s, this would be the last tie to The Blue Castle and Montgomery’s experience in this area, she was appalled, especially when she learned there were plans to tear the house down due to its poor condition. She pleaded with Jack to buy the house, and he relented when he saw how important the project was to his new wife. The Huttons purchased the home, and Linda began a year of renovating the home. In addition to a stove they found in the shed from the 1920’s when Montgomery was staying there, the Hutton’s were able to find a number of antiques from the time period in order to decorate. David Montgomery, L.M. 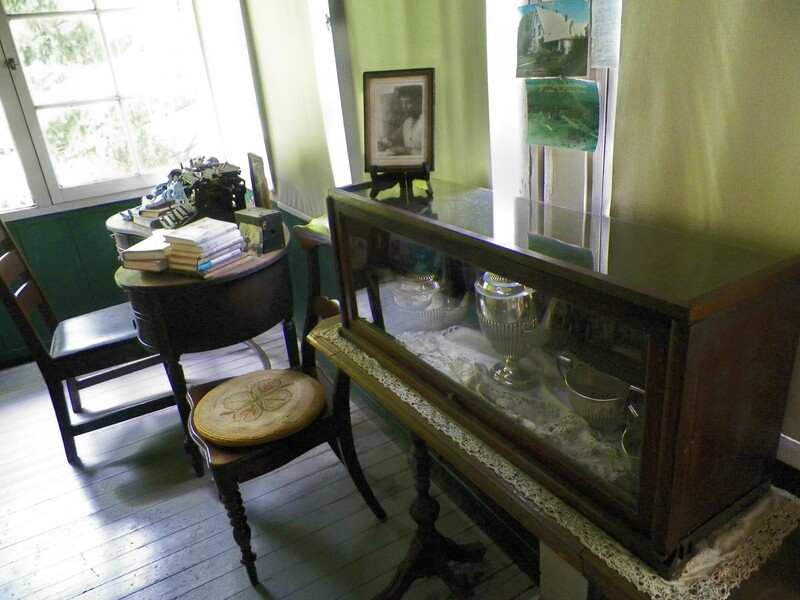 Montgomery’s grandson, first loaned several artifacts to the museum, then eventually decided they belonged with the house. The Huttons also have acquired one of the most complete sets of Montgomery’s books, including many first editions. 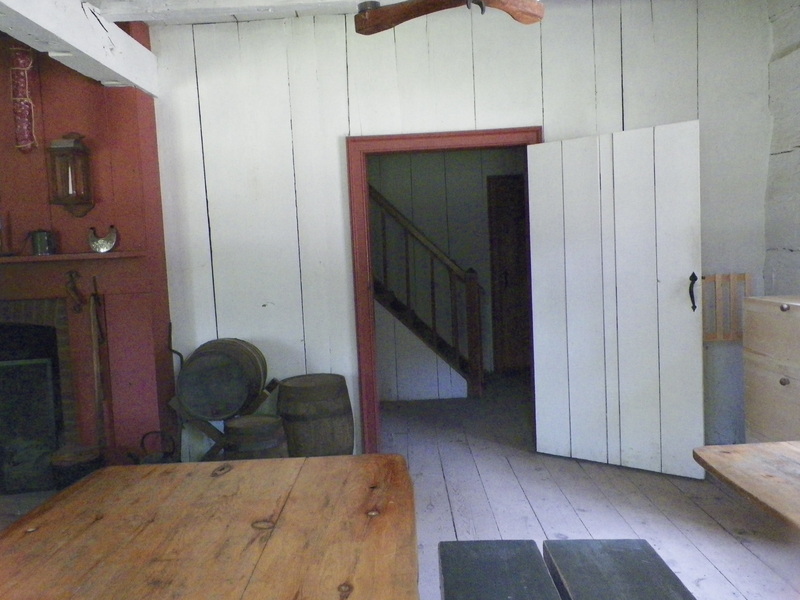 They also have quite a bit of early Anne memorabilia, including the story of and actual first translation of the book into Japanese, translations into a number of languages, the only complete set of Green Gables imprinted dishes, the silver tea service given to Montgomery as a wedding present, and many Anne dolls and movies. 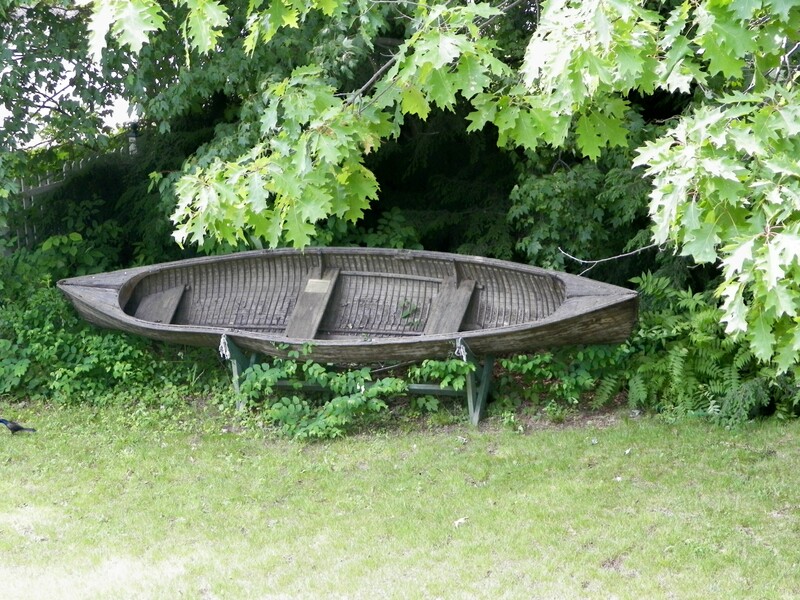 Additionally, for the Anne of Green Gables fans, the Museum contains many items from both the Anne movies and The Road to Avonlea series, including costumes and even the Lily Maid boat in which Megan Follows, (who incidentally spent a summer with her family at Bala), played the Lady of Shalott. But, in addition to the incredible collection of Anne items, we were entranced by the knowledge and stories of Jack Hutton, who shared so much of Maud’s life, even quoting extensively from her journals and works. As an added bonus, Jack is an incredible pianist, who performs on many of the steamboats nearby. He consented to play for us before we left. Jack and Linda co-authored a book entitled Lucy Maud Montgomery and Bala which shares, not only their story, but additional little known information about Montgomery. They have also recreated the Anne of Green Gables 1919 silent movie. This Museum is truly a jewel to visit. 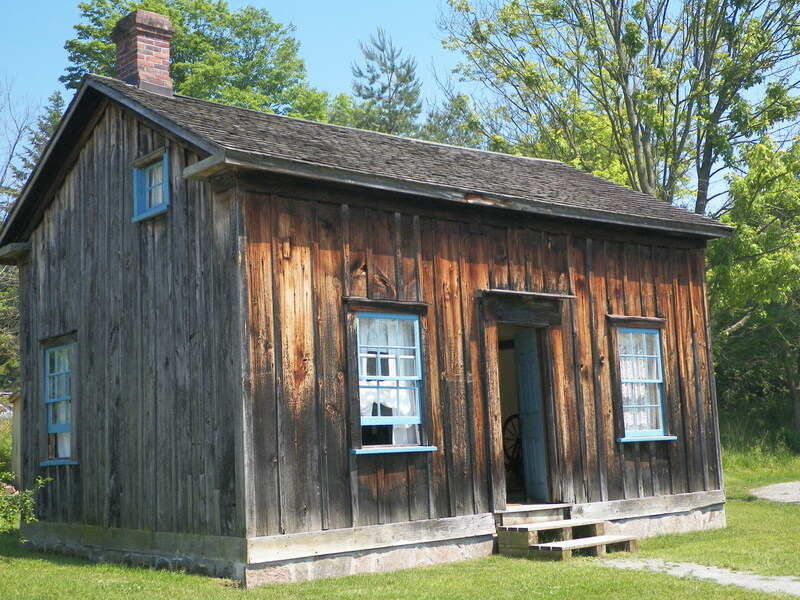 After attending Catch the Fire Toronto (formerly the Toronto Airport Christian Fellowship of revival fame), we set off for Pickering Museum Village. The village had come up on our search for Anne sites, and we were excited to see what we could find. It was a tad difficult to find, since we didn’t have an address, so for anyone else trying to find it, the address is: 2365 6th Concession Road in Greenwood, Ontario, Canada. 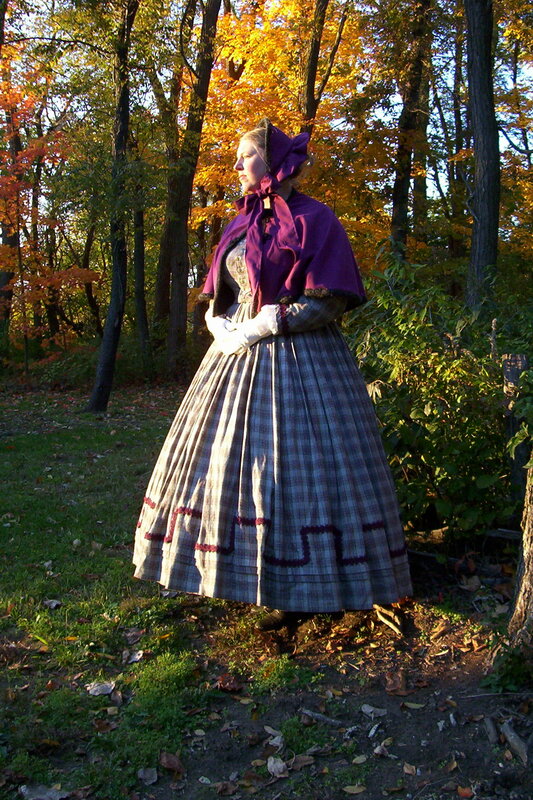 Being a Civil War reenactor myself, I am quite at home in living history and love history done well. Pickering Village, from beginning to end, was just such a place. 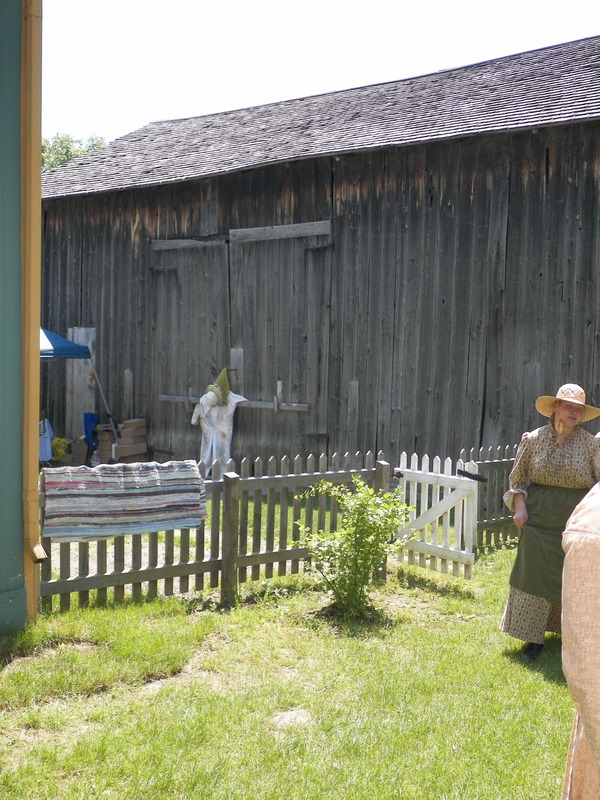 We had lucked out on the day to come to Pickering Village, since it was also The Duffins Creek Spring Fair. So in addition to the normal fun of the village, there were a number of activities and food to enhance the day. We were able to see metal rims fitted to a wheel; sample beans, bread, and rhubarb cake; and learn about local beekeeping and honey. Additionally, each reenactor was extremely knowledgeable. 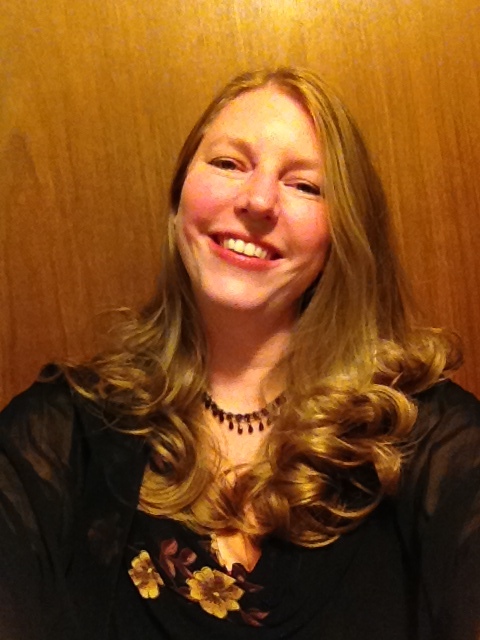 in addition to her role as event programmer. Mandy had just finished judging the Beard and Moustache Competition, and, being an Anne fan herself, was quite willing to take us to all the filming locations around the Village. 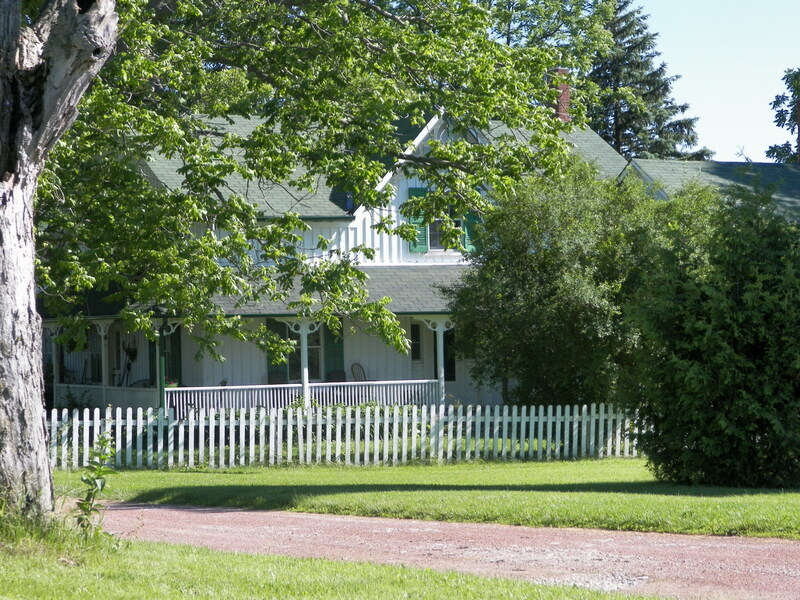 First, we went to The Cole House, which served as Moody Spurgeon’s House in Anne of Green Gables, Angus McCorkadale’s house in Road to Avonlea and farmhouse in An Avonlea Christmas. It is the notorious spot where Anne both walked and fell off the ridge pole. 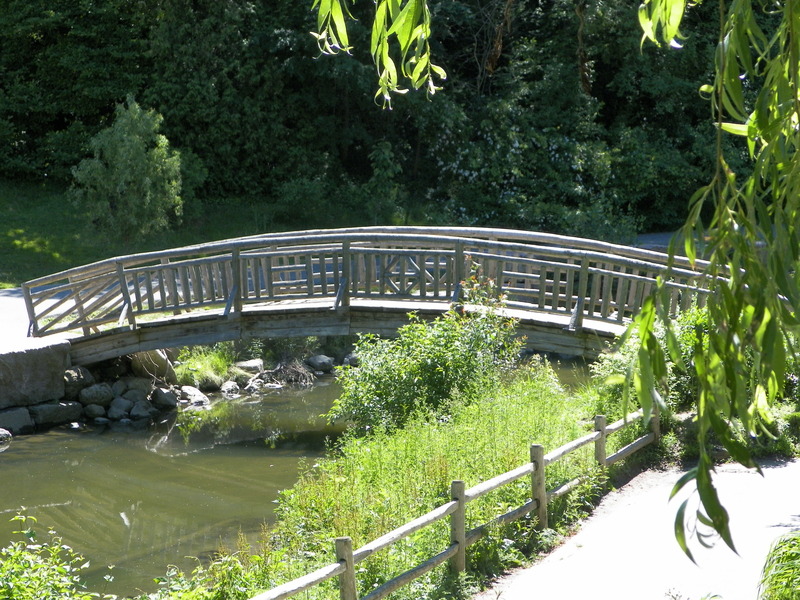 It also sports the fence Josie Pye walked before jumping into Gilbert’s arms. After that, we headed to the Oddfellows Hall, which today hosted the Quilt show, but was previously used as the site of Anne’s Christmas ball (Carmody Town Hall) and the staircase she and Diana walked down before the big dance. 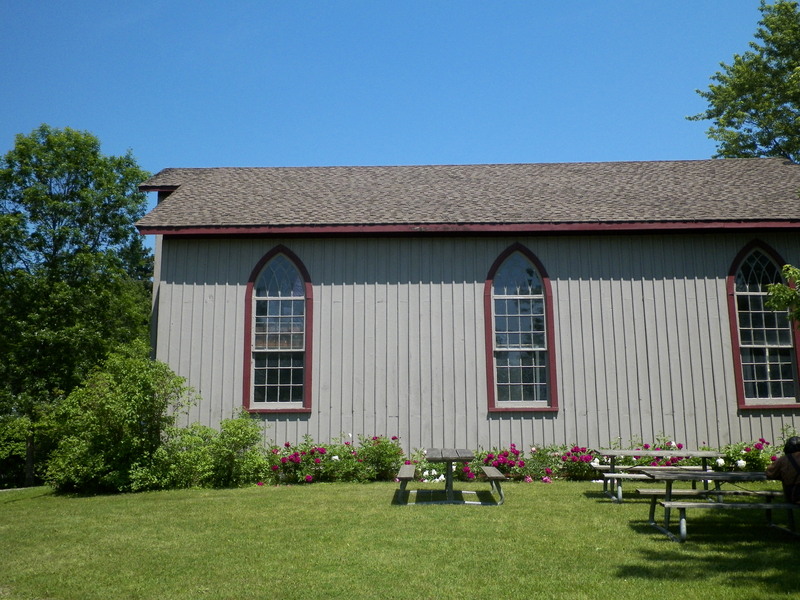 It was also used as the Avonlea Town Hall in a number of episodes of Road to Avonlea (My favorite being “The Materializing of Duncan McTavish.”) The Bible Christian Church was also used as the town hall in a number of episodes. Mandy told us that Pickering Museum Village will be hosting its own Anne of Green Gables Day, to celebrate their part in the Avonlea Series. The Anne of Green Gables Day will be held June 30, 2012, so anyone in the Toronto Area (or loyal fans from abroad), be sure to check it out. 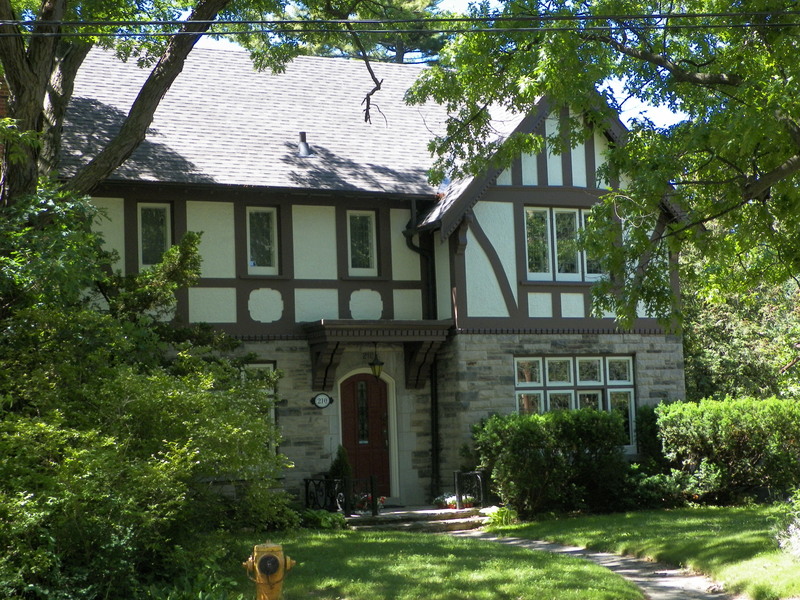 Mandy also shared with us some of the other local sites, including The Parkwood Estate (270 Simcoe Street North in Oshawa), which was used in Anne the Continuing story, as Jack’s mother’s house and garden where they have tea at the end of the movie. (When we left, we were able to stop by there, though we didn’t get to tour the house, since we arrived about the time the gates were closed.) She also directed us to Katrina, who was able to help us find Lucy Maud Montgomery’s Toronto house, which we will visit another day. All in all, our trip to Pickering Museum Village was an amazing time, and I was incredibly impressed with how helpful each staff member was, how knowledgeable and friendly each reenactor was, and in short, what a well run historical site this is!